Cuisinart Chef’s Classic Multipurpose Pot Just $21.77! Down From $80! You are here: Home / Great Deals / Amazon Deals / Cuisinart Chef’s Classic Multipurpose Pot Just $21.77! Down From $80! Don’t miss this amazing deal from Amazon! Get this Cuisinart Chef’s Classic Stainless 5.5-Quart Multipurpose Pot for just $21.77, down from $80.00, PLUS FREE shipping for Amazon Prime or orders $25 or more! 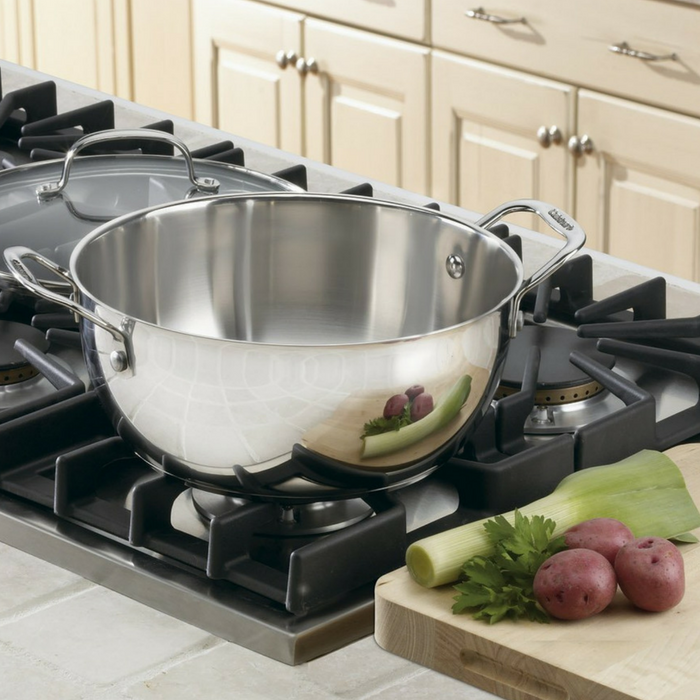 Whether you’re a serious gourmet, a regular entertainer, or cooking for the family, this Cuisinart Chef’s Classic Stainless 5.5-Quart Multipurpose Pot makes it easy to prepare a variety of one-dish meals, from mixed vegetables and poultry to hearty soups or stews. It is made of pure aluminum encapsulated base heats quickly and spreads heat evenly and eliminates hot spots. It has riveted stainless steel handles, including side grips and helper handles, that are professionally riveted to ensure a lifetime of perfect balance!